There are two types of people in this world—people who plan ahead and those who prefer to be a bit more spontaneous. Whatever type you are on a regular basis, it’s always best to plan ahead when you are working on window replacement in Encinitas, CA. Here are just a few ways in which you will want to prepare for the process. One of the first things you can do, before you even start seriously looking for new windows, is figure out what you like and what you don’t like. It doesn’t take any extra time to start taking note of windows as you drive to and from the store, work, and other places. Figure out what you like and some features you want to avoid. It will help you know what to look for. One of the smartest ways to prepare yourself and your knowledge for the project is to block some time out for a free consultation with window professionals. You’ll get the information you need and have a chance to ask questions you might have. Blocking out just a little time for this process can help you a great deal in preparing for ordering the right windows. As is true with any home improvement project, replacement windows cost money. You will have to figure out how you are going to budget for the project. Perhaps you have money in savings you can use or maybe you need to take out a personal loan. Whatever the case may be, when you are prepared, the project will go much more smoothly. Once you choose the windows you need for your house and are ready for installation, you will want to get your home ready for that process. 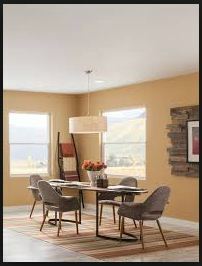 Make sure you take down the pictures on the walls that have windows and move furniture out of the way as well. Try to clear a path from the door to every window. You will also want to think about your pets or children in advance so they are somewhere safe and out of the way while the process takes place. Getting new windows takes a little planning and preparation, but once they are installed and you have the beauty and energy efficiency you wanted, it will all be worthwhile. If you normally like to fly by the seat of your pants, getting replacement windows in Encinitas, CA is a chance for you to sample the planning lifestyle that many other people adhere to. When you need help, or want that free consultation, contact the professionals at Window Solutions by calling (619) 258-0515. We’re here to answer your questions, at no obligation. We want your home to have just what you want for it and we’ll do our best to help you make informed decisions. Stop by and see some samples in our showroom at 613 W Main St. El Cajon, CA 92020 and we’ll point out differences on ratings and labels for you.